Our product range includes a wide range of men's v neck t-shirt, men's plain t-shirt, men's half sleeve t-shirt, men's full sleeve t-shirt, men's corporate t-shirt and men's designer t-shirt. 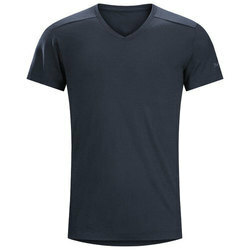 Owing to our in-depth knowledge in this domain, we are specialized in providing Men's V Neck T-Shirt. Description: Available in Combed Cotton, Jersey, Organic Cotton, Pigment Dyed, Polyester. 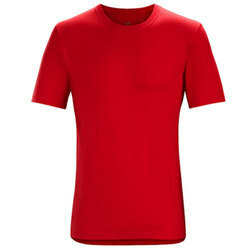 As per the needs and requirements of our clients, we are involved in providing Men's Plain T-Shirt. 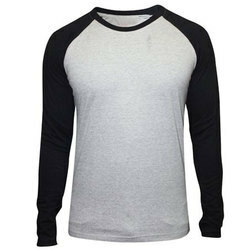 Keeping the diverse requirements of customers in mind, we are instrumental in providing Men's Half Sleeve T-Shirt. 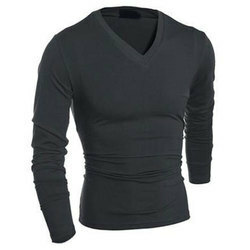 We have gained a remarkable position in the market that is involved in offering Men's Full Sleeve T-Shirt. 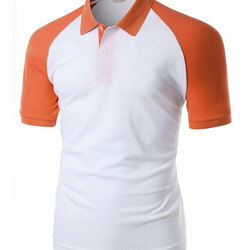 Our company has created a niche in the field of offering Men's Corporate T-Shirt. 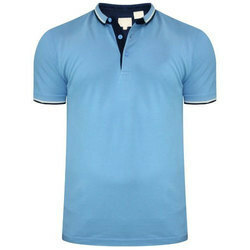 We are one of the most well-distinguished companies in the market that are into offering Men's Designer T-Shirt. Looking for Men's T-Shirt ?